2. 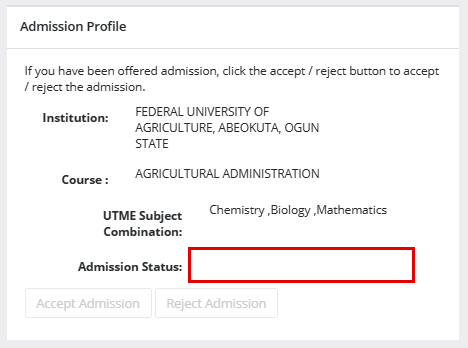 If offered admission, click on the Accept Admission button on your Profile Page. 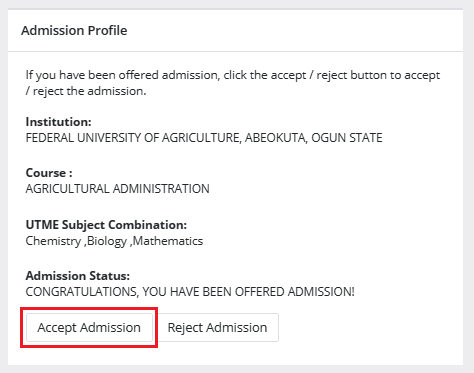 If you click on the Reject Admission button, the offer will be withdrawn and your details removed from FUNAAB to CAPS Marketplace. If the Record(s) successfully updated, a message pops in on the page indicating the Record(s) successfully updated (Please print this page, it is currently the only proof you have that you have accepted the offer). 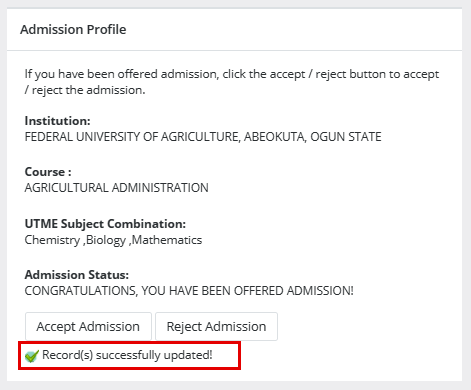 If you visit this page again the buttons are no longer active and your Admission Status is blank, this would be corrected by JAMB with time.